On July 25, 2018, a majority of the Takoma Park City Council passed a resolution approving the Neighborhood Development Company’s (NDC’s) Site Plan for development of the City-owned parking lot on the west side of the TPSS Co-op. The Co-op currently uses a portion of the parking lot for deliveries and for storage and pickup of recycling and trash. While the start date for construction of the new development is not set, it will not begin until NDC obtains additional state and county approvals before it can begin construction. In the meantime, the Coop has entered a lease with NDC for exclusive use of the entire parking lot. 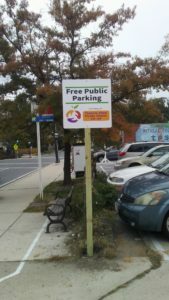 The Co-op is providing free public parking on the lot. And we will continue to host traditional community events – such as the Halloween Bash, the Fire Department’s Christmas tree sale, and the Earth Day celebration. And watch for food trucks and special events! Please also send us your ideas for events to hold there. And please contact us if you would like to use the parking lot for community events. Once construction begins, the NDC development will affect the Co-op’s operations by eliminating our current space for deliveries, storage, trash, recycling and overflow parking. Seeking to minimize the development’s potentially adverse effects on our operations, the Co-op engaged in a formal mediation with NDC during the summer and early fall. The City Council funded the initial portion of the mediation and Council members and staff served as observers in the meetings. Co-op is grateful for the City’s support and participation in this process. In September 2018, as a result of the mediation process, the Co-op and NDC reached an agreement regarding our terms of cooperation before, during, and after construction of the new development. This was followed by a final agreement in contract format. In keeping with the City’s resolution of July 25, 2018, the Co-op and NDC engaged in mediation to identify solutions to a number of operational issues. Both parties engaged in the mediation in good faith, recognizing that the nature of such negotiations requires compromise. While neither party got everything it wanted, they agreed on terms that provide benefits to both. These terms were memorialized in a Cooperation Agreement. The Cooperation Agreement, together with the Combined Site Plan approved by the City Council on July 25, 2018, provide a sufficient set of reasonable accommodations to the business operations of the Co-op before, during, and after the construction of the new Takoma Junction Project to justify entering into the Cooperation Agreement. The full text of the Cooperation Agreement is available on the City’s web site. The parties agreed to the following mutual accommodations: NDC construction of the lay-by as part of the first stage of construction to ensure the ability of the Co-op to continuously receive all product deliveries; exclusive Co-op use of the lay-by during construction; priority morning Co-op use of the lay-by for deliveries; Co-op access through the Project to the Co-op’s current door on the west side of the Turner building for deliveries; the parties’ commitment to make good faith efforts to coordinate and adjust delivery schedules among suppliers of the Co-op and all Project tenants so that all deliveries can be accommodated; Co-op and Project use of the lay-by for trash pickup; Co-op use of the parking garage and one free underground parking space adjacent to the Co-op for some deliveries; availability of parking for Co-op customers on the same basis as others parking in the building; the Co-op’s ability to rent parking space for its customers in the parking garage; and Co-op funding of a second elevator sized for Co-op customers with carts that also will be available for public and Project tenant use that NDC will repair and maintain. The parties have also agreed that the Co-op will not rent space in the Takoma Junction project at this time. As a result of the Cooperation Agreement, the Co-op will not oppose the Takoma Junction Project or seek further accommodations from the City or NDC absent changes to the Project by NDC, the City, or any other governmental body that would materially adversely affect the Co-op’s operations. In addition, the parties are committed to working with the State Highway Administration as it explores ways to reconfigure and improve the Takoma Junction intersection at MD Routes 195 and 410. The Co-op and NDC will work to address any operational issues that that may arise to make the Takoma Junction project, the Co-op, and local businesses successful. We are hopeful that the measures described above will allow us to stay in our location at Takoma Junction and thrive there for many years to come. We will do our very best to make it work so that we can continue to serve our members and shoppers and the community. We are grateful to our members and shoppers for your continuing support throughout this challenging time — through your many letters, comments at City Council meetings and on social media, and conversations throughout our community. We thank you for your valuable feedback, which will help guide us in the future. With your support, the TPSS Board of Representatives will tackle the work ahead with a continued commitment to the TPSS members, workers, our local suppliers and all of our Takoma Park neighbors. Thank you again for your support and engagement.